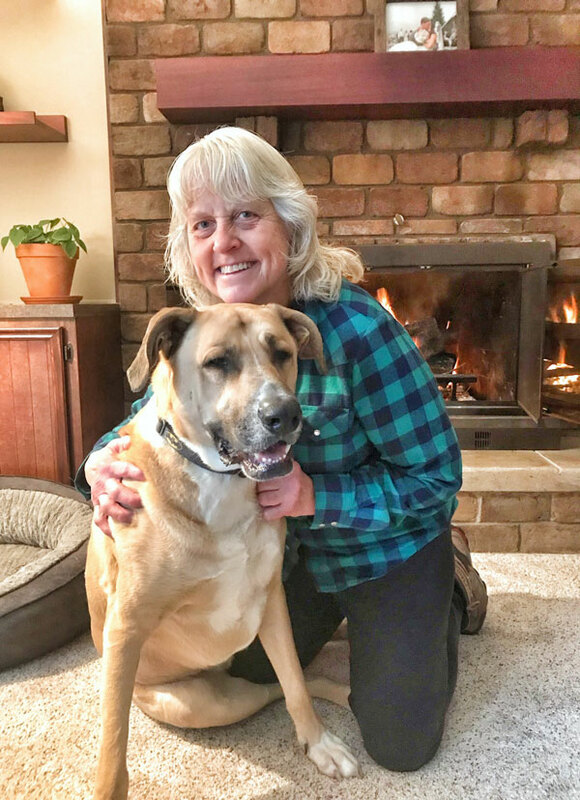 PawBoost loves to share happy endings! 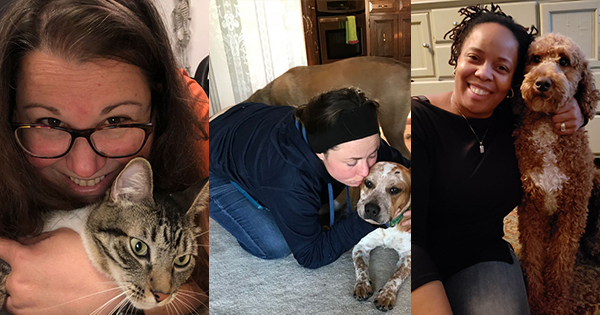 Read January’s Featured Happy Tails to learn how these fur babies were reunited with their families. 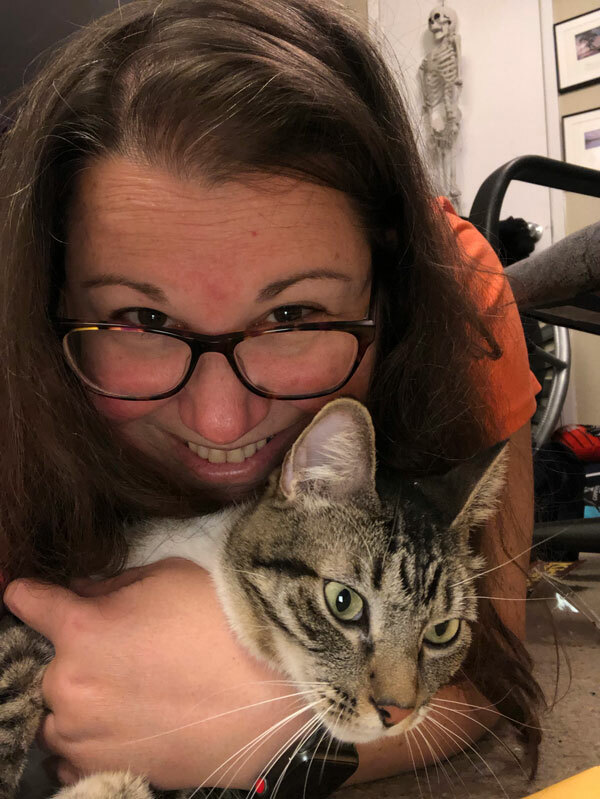 Drake: Lost Cat Reunited in Vancouver, WA! “Drake pushed out a screen in my bedroom window. I posted on PawBoost and other lost pet sites and hung up flyers. I left the window open that he escaped out of for about 4 days before I had to close it since it was so cold. I spent each day searching the area calling for him (and found another stray in which I posted his picture and was able to reunite him with his owner). I also placed his litter box as well as a worn shirt of mine outside. One night, I decided to crack the window open to let in some air. I was awakened around 5:30 in the morning to a single meow coming from outside. I threw open the window and called for him, but didn’t hear anything. I laid back in bed thinking I must have dreamed it. A few moments later, I heard the meow again and I knew that meow was him. I called out the window again and heard him meowing. I rushed outside and had to wait for him to come to me since he was a little scared. So happy he’s home! 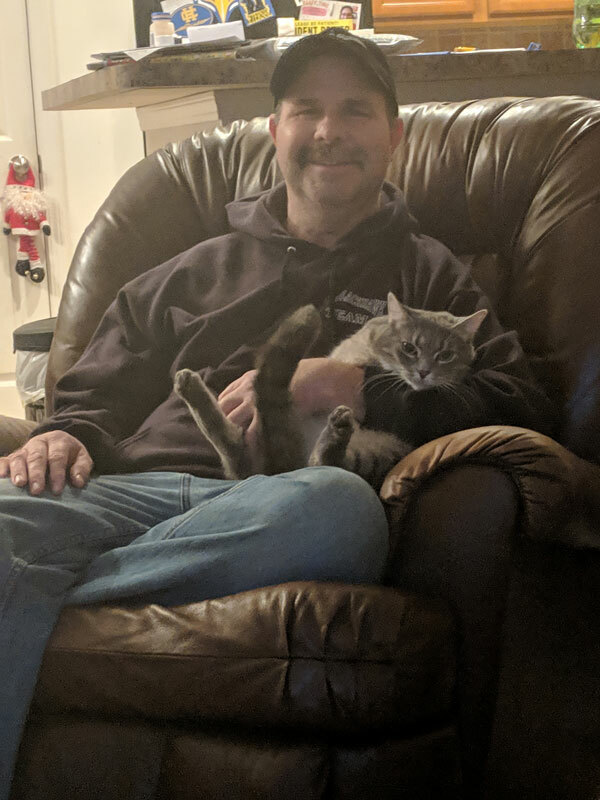 Ladybug: Lost Cat Reunited in Lexington, KY! “Ladybug is an indoor cat and had never been outside. I had gotten her from my vet’s office when they told me she needed a good loving home. Ladybug went missing when I accidentally left the garage door up when I came home. We were in the kitchen and she wanted to go to the garage. I opened the door between the house and the garage to let her out there. I had no idea that the overhead garage door was even up until my husband came home and asked, ‘do you know the garage door is up?’ That is when I realized what I had done and frantically began to search for Ladybug. One of my friends told me to post Ladybug on the Lost and Found website, PawBoost. I began receiving all kinds of notifications of people I didn’t know sharing my post. A gentleman even told me that he had seen her. I went looking for her and as I did, I put her litter box out on the porch, but I did not find her. However, when I came back home I checked every door, every 20 minutes. I was in the kitchen working and I just happened to look at the back door and there she WAS peering in at me. She had been gone for 24 hours. She was cold, soaked due to the rain, and very hungry. I immediately dried her off and fed her. She is glad to be home just as much as I am that she is home. 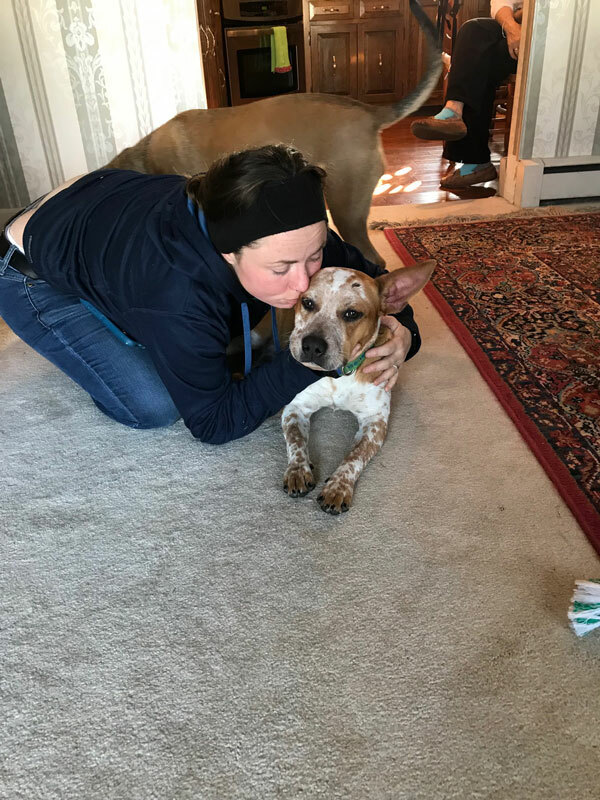 Pip: Lost Dog Reunited in Greenwich Township, NJ! “Pip went missing on Christmas night. She ran off from my mom’s house, which she’s been to a thousand times. However, her people weren’t at the house. My wife was taking her grandmother home and I went for a short visit to an aunt’s just a few miles away. I left her with her grandpop, but she’s not as bonded to him as she is to us. So at the first opportunity, Pip ran out of the house in search of her mamas. She was gone for about 36 hours. PawBoost and Facebook made all of the difference. The people of Gibbstown were on high alert and we finally got a phone call with a tip two days later from a woman who saw her running through her yard. This sighting was maybe half of a mile from where she went missing. My wife and I began canvassing the streets where she was last seen and then around 10am, I saw her. I chased her in the car for about a mile. She was in full flight mode, a steady gallop. She’s an Australian cattle dog/corgi mix, so my girl is a really good athlete with high energy. I had to speed up to get in front of her and then I jumped out and called her. She had a moment where she didn’t recognize me. I threw the hat I was wearing close to her and I think she was able to connect my visible image, my voice, and my scent. It worked; she lowered her ears and got all wiggly, happy and jumped right into the backseat of the car. We took her to our vet and he said that she looked good, all things considered. She has a few scrapes and bumps, but she was mainly just exhausted. We bathed her, cleaned out her cuts, put some food in her belly and then just let her sleep. Buddy: Lost Dog Reunited in Midland Township, MO! “Buddy was in the yard, he is a very smart dog and knows how to ring the bell to go out and ring it to come inside. He also is friends with my neighbors. We believe Buddy may have been lured from the area one Sunday morning after being outside in the backyard for 15 minutes. The side fence was open and we believed he left out of the yard through that fence. We posted and passed out missing dog signs. We posted on social media to every site we came across. We also called around to multiple shelters. Buddy is chipped and has a collar on with identifying information. The pet lovers of the world shared our post on multiple sites, some I had never heard of and am now a member. He was missing for over 36 hours. This was a sad time for our family. It rained for most of the second day. Fenton: Lost Dog Reunited in Ada, MI! “Fenton went missing while staying with family out of town. He was let out to to use the bathroom in the late evening and though the other dogs came back Fenton was not with them. My sister-in-law called and searched and even posted fliers around the community, but Fenton was nowhere to be found. I was traveling back from out of state and in order to ease my fears and anxiety I took to social media and PawBoost to spread the word about our missing family member. Fenton was found the next day, laying just off the trail with his front paw caught in a small animal trap. He was sore and limping on that paw, but he was safe and home. Tippy a small dog by Hwy51southdyersburg by comfort Inn motel Southtown ran out door and was following another dog .she is a therapy dog . Not a out door pup . When I see a post for a lost dog in our area, I recommend PAWBOOST because I see such good results when pets are lost or found and are returned home. I share these posts to help spread the word. Your success is remarkable. I know that a lot of pets are found because I am a member of your group, but I had no idea it was this many. Awesome! Thank you for helping us find our Jake Shenanigans O’Connor. Congratulations to everyone whose missing pets got back to their homes! A missing pet puts a big hole in your heart that just can’t be filled. The not knowing what happened to them makes it all the harder. Unfortunately, I’m still hoping my kitty will somehow return home but since he’s been missing since April 16, 2018, my hopes aren’t too high right now. I suspect that a predatory bird, such as a red tail hawk, probably snatched him off the roof of the house where he was playing with two of his kitty friends. My cats have played on the roof of this house for 19 years with no problems, and unfortunately, I didn’t know that raptors preyed on pets. My baby Butterbean was a rescue that I’d had since he was 5 weeks old and we were both very special to one another. There isn’t a day that goes by that I don’t weep over his loss. I still look for him calling his name and hoping I’ll find him. But if that is not to be, I can only take comfort in knowing that when the time is right and I am called home, I will joyfully meet him in the Light, never to part again. But until that day, the endless tears will flow. I am doing the exact same thing as you. I can’t stop crying and it’s the not knowing is what is hard. We can only hope someone fell in love with them and spoiling them rotton. God bless you. 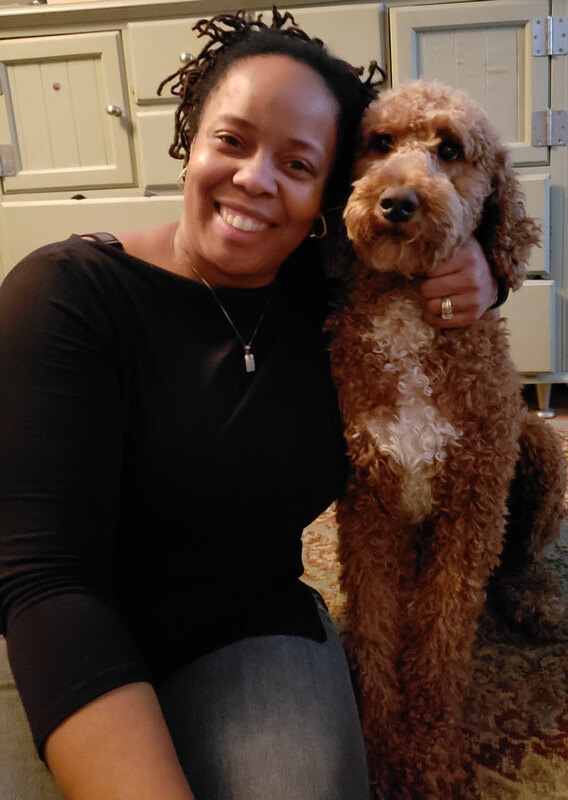 Mieka was reunited with her loving family. The Excelsior Springs Police Department (MO) was protecting and serving. It was a wet, rainy day. I knew the typical paperboard Lost & Found posters wouldn’t work in that kind of weather. I used the backside of For Sale/Garage Sale plastic signs with permanent magic markers and inserted zip ties. I hope this idea helps.